Durham boasts a spectacular and varied landscape, combining a rugged coastline with breath-taking dales and a bustling city steeped in history. The home-place of writers such as Basil Bunting, Elizabeth Barrett Browning and Anne Stevenson, Durham has a strong literary tradition that underpins the annual Book Festival. Durham City’s profound sense of heritage is matched by its commitment to progress. 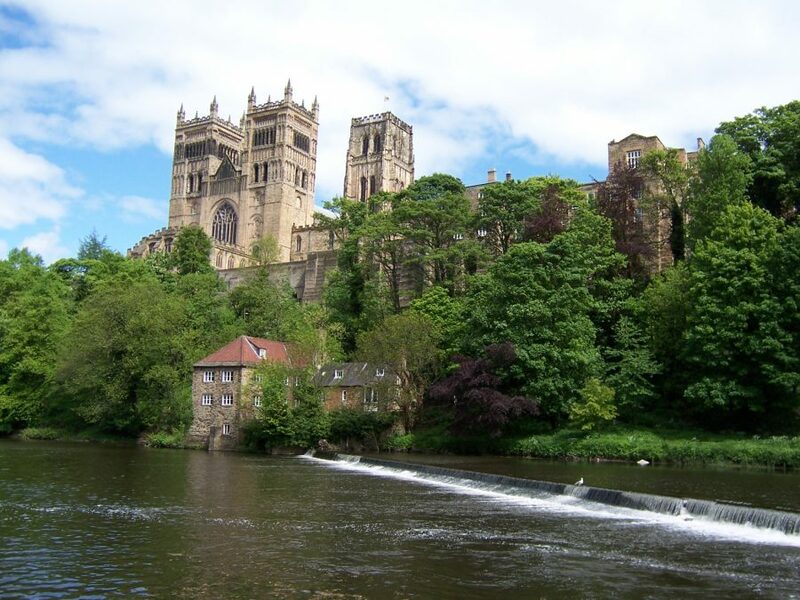 The dramatic city skyline is one of the most stunning panoramas in Europe, and is dominated by the ‘UK’s number one landmark’ Durham Cathedral and its adjacent castle – a world UNESCO heritage site. It is also home to one of the finest universities in the country, with Durham University ranked fifth in the Guardian University Guide 2019 and consistently pioneering world-class innovation in research. The Durham Dales and the North Pennines Area of Outstanding Natural Beauty are home to incredible scenery and fascinating attractions, including The Bowes Museum, a magnificent French-style chateau housing an impressive collection of European and fine arts, and medieval Raby Castle, home to Lord Barnard’s family since 1626. And don’t miss High Force, one of England’s largest waterfalls. In the Vale of Durham you can step back in time and experience Beamish, The Living Museum of the North, or board a steam train at Locomotion: The National Railway Museum at Shildon. The seventeenth-century Palace Green Library in Durham’s World Heritage site houses books and manuscripts dating from the medieval period onwards, ranging from illuminated tracts to the diaries of prominent suffragette Else Headlam Morley. Once you’ve had your fill of culture, get into the great outdoors and set out on one of Durham’s coastal walks or moorland hiking trails, including the awe-inspiring Waskerley Way and the imposing headlands and wave-swept beaches of Durham’s Heritage Coast. When it’s time to refuel, you’ll be spoilt for choice at Durham’s many restaurants, gastropubs, cafés and tearooms. Look out for the Taste Durham Award, a sign of great food and service proudly displayed at over 60 businesses across the county. To find out more about Durham and to book your perfect break visit the official tourism website here.